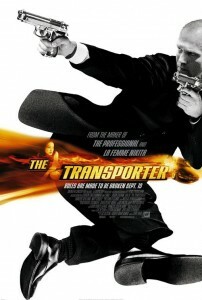 FILMING BEGINS IN TORONTO ON CINEMAX’S NEW 12-PART ACTION SERIES ‘TRANSPORTER’!!! Sadly no Jason Statham, but this new ‘Transporter’ series is based on the movie franchise. I’m curious to see how this will play out. I can see this being a good series. It’s a good enough story, but Statham brought so much charisma to that role. I only hope the new lead will be just as fun to watch. The series is set to debut on Cinemax in 2012. Read the official press release below. NEW YORK, Aug. 10, 2011 – Filming has begun in Toronto on the 12-part action series TRANSPORTER, starring Chris Vance (“Burn Notice,” “Prison Break”) in the title role. Shooting through this November, the series will debut on CINEMAX in 2012. The series’ executive producers are Luc Besson, Fred Fuchs, Robert Cooper, Joseph Mallozzi & Paul Mullie and Alexander Ruemelin; produced by Susan Murdoch (QVF Inc.) and Klaus Zimmermann (Atlantique Productions). TRANSPORTER is a France/Canada international treaty co-production produced by Atlantique Productions and QVF Inc. in association with broadcast partners HBO/CINEMAX as well as The Movie Network and Movie Central (Canada), M6 (France) and RTL (Germany). Based on the successful film franchise of the same name created by Europacorp’s Luc Besson and Robert Mark Kamen, this fast-paced series follows the adventures of professional transporter Frank Martin, who can always be counted on to get the job done — discreetly. Operating in a seedy underworld of dangerous criminals and desperate players, his three rules are: Never change the deal, no names, and never open the package. Occasionally, complications arise and rules get broken. Andrea Osvart (“Duplicity”) co-stars as Martin’s trusted handler Carla and Francois Berléand reprises his role of Inspector Tarconi from the films. The cast also includes Delphine Chanéac (“Splice”) in the recurring role of Juliette, a reporter who seems to know a lot about Frank’s work, and Rachel Skarsten (“Made…The Movie,” “Birds of Prey”) as Delia, the daughter of someone from Frank’s past. Stephen Williams, a director and co-executive producer of “Lost,” is directing the first episode. HBO Announces 5-Part Miniseries Covering ‘Chernobyl’!!! This entry was posted on Wednesday, August 10th, 2011 at 1:40 pm	and is filed under Film, News. You can follow any responses to this entry through the RSS 2.0 feed. You can skip to the end and leave a response. Pinging is currently not allowed. « COMIC BOOK RELEASES FOR THE 2ND WEEK OF AUGUST!! !